Getting your learner’s permit is a huge step toward becoming a fully licensed driver. Generally, once you have your permit, you will move on to get your license before it ever expires. However, you might find yourself in a situation where your permit has expired due to forgetfulness, moving out of state, or a variety of other reasons. If this happens, you need to know how to renew an expired permit and continue on your path toward full driving privileges. Driver’s licenses and permits are managed by different departments depending on the state you live in. Most commonly, you will be looking for the Department of Motor Vehicles (DMV), but the licenses may also be handled by the Division of Motor Vehicles, the Secretary of State or some other bureau. If you got your permit in the state you’re currently living in, then you already know where to go. You most likely won’t need an appointment, but it’s a good idea to make one to avoid an incredibly long wait in line. Proof of identity (certified birth certificate or social security card). Proof of residency (utility bill or school enrollment card). Payment to renew or redo the testing for your permit (varies by state). 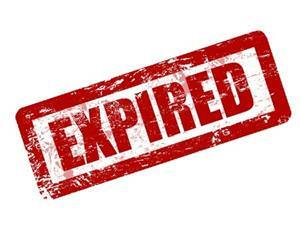 Some states don’t require you to take the permit test again once you have already passed, but depending on where you live and how long it has been expired, you might have to. When in doubt, call the DMV and explain your situation. Someone should be able to let you know whether or not you will need to retake the permit test. If you do, you might want to consider spending some time studying before you go in. It isn’t wise to assume that because you passed the test last time around you will automatically be able to do it again. If it’s been a while since you originally got your permit, you may have forgotten some of the information. It’s also possible that you will be renewing your permit in a different state, and in that case, the test you will take might be completely different. Even if you feel pretty sure of yourself, it’s a good idea to take a practice permit test before trying the real thing. It will help you have peace of mind while taking the test, and if nothing else, it will help renew the information in your mind and allow you to recall some of the important rules for driving. Even the best drivers can use a refresher course once in a while.